FB-246, 201 S. Columbia St.
Current Organization: (1) SpLU-RoboNLP Joint Workshop at NAACL 2019; (2) CVPR 2019 Workshop on Conceptual Captions; (3) Colloquium Series on NLP+Vision (and related ML topics) -- pls submit/attend/visit! Current Service: Program Co-Chair: CoNLL 2019; Area Chair (Semantics): EMNLP 2019; Area Chair (Summarization): NAACL 2019; Area Chair (Discourse, Dialogue, Summarization, Generation, Multimodal NLP): EMNLP 2018; Tutorial Chair: NAACL 2018. Please submit! Current Teaching: Adv NLP Topics: Recent Progress in Different Learning Paradigms in Spring19. 2019: 4th Workshop on Representation Learning for NLP (RepL4NLP @ ACL 2019) (Aug 2); 3rd Workshop on Neural Generation and Translation (WNGT @ EMNLP 2019) (Nov 3); 1st Workshop on Beyond Vision and Language: Integrating Knowledge from Real-World (LANTERN @ EMNLP 2019) (Nov 4). (04/19) Congrats to Darryl Hannan for the 3-year NSF PhD Fellowship! (02/19) 5 new papers: 3 in NAACL 2019, 1 in CVPR 2019, 1 in ICRA 2019. 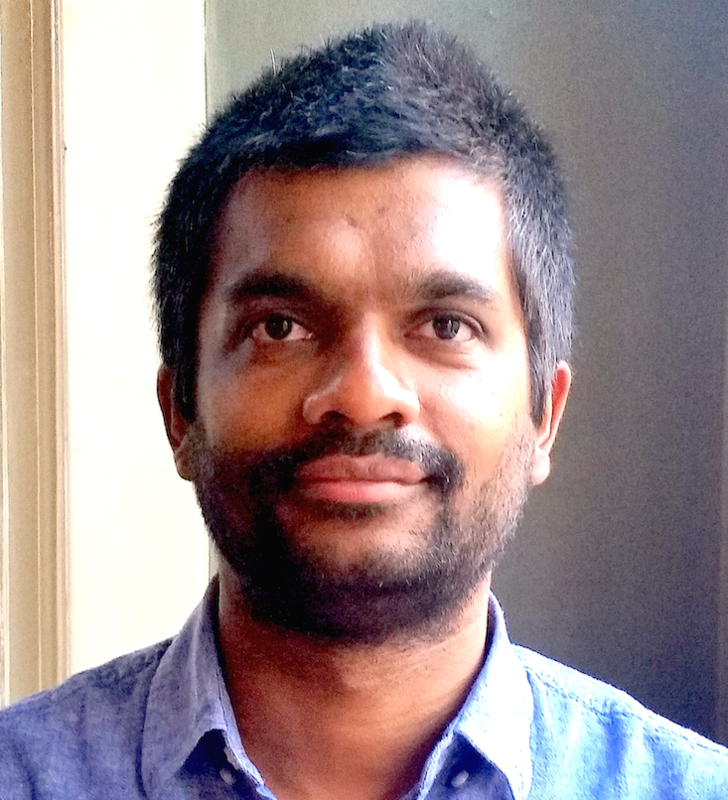 (01/19) Congrats to Ramakanth Pasunuru for the 2-year Microsoft Research PhD Fellowship! (12/18) Congrats to Han Guo for the CRA Outstanding Undergraduate Researcher Award Honorable Mention! (11/18) Thanks to research awards from Salesforce, Facebook, and IBM. (10/18) 2 new papers in AAAI 2019 (16% acceptance rate). (08/18) 7 new papers (6 in EMNLP; 1 in CoNLL -- see below). (07/18) Thanks to Army Research Office for the ARO Young Investigator Program (YIP) Award. (06/18) COLING paper on dynamic-MTL selected as "Area Chair Favorites" (congrats Han+Ram)! (04/18) 4 new papers (2 in ACL; 1 in TACL; 1 in WiNLP -- see below). (04/18) Congrats to Lisa Bauer for the 3-year NSF PhD Fellowship! (03/18) Thanks to Adobe for the Adobe Research Award. (02/18) 9 new 2018 papers in NAACL, CVPR, AAAI, WACV (see below). (09/17) Thanks to DARPA for the DARPA Young Faculty Award (link). (09/17) Thanks to Facebook for the Facebook ParlAI Research Award. (06/17) Top single model results on the RepEval-NLI Shared Task at EMNLP 2017 (congrats Yixin!). (06/17) Outstanding Paper Award at ACL 2017 (congrats Ram!). (02/17) Thanks to Google for a Google Faculty Research Award (link). (07/16) Best paper award at ACL 2016 Repl4NLP workshop for paper on mapping unseen words. (03/16) Thanks to Bloomberg for a Bloomberg Data Science Research Grant (link). (02/16) Paper on universal sentence embeddings selected as an oral at ICLR 2016. (01/16) Our work on AI for computational humor was covered in MIT Technology Review and Newsweek. (11/15) Nvidia paper award at NIPS 2015 Multimodal ML workshop for paper on navigational instruction following. (12/14) Thanks for an IBM Faculty Award and a Google Faculty Research Award (link). Dr. Mohit Bansal is the Director of the UNC-NLP Lab and an assistant professor in the Computer Science department at the University of North Carolina (UNC) Chapel Hill. Prior to this, he was a research assistant professor (3-year endowed position) at TTI-Chicago. He received his Ph.D. in 2013 from the University of California at Berkeley (where he was advised by Dan Klein) and his B.Tech. from the Indian Institute of Technology at Kanpur in 2008. He has also spent time at Google Research, Microsoft Research, and Cornell University. His research expertise is in statistical natural language processing and machine learning, with a particular focus on multimodal, grounded, and embodied semantics (i.e., language with vision and speech, for robotics), human-like language generation and Q&A/dialogue, and interpretable and generalizable deep learning. He is a recipient of the 2018 ARO Young Investigator Award (YIP), 2017 DARPA Young Faculty Award (YFA), 2017 ACL Outstanding Paper Award, 2014 ACL Best Paper Award Honorable Mention, 2018 COLING Area Chair Favorites Paper Award, and several faculty awards from Google (2016, 2014), Facebook (2018, 2017), IBM (2018, 2014), Adobe (2018), and Bloomberg (2016). Statistical natural language processing and machine learning, with a focus on multimodal, grounded, and embodied semantics (i.e., language with vision and speech, for robotics), human-like language generation and Q&A/dialogue, and interpretable and generalizable deep learning. Hao Tan, Licheng Yu, and Mohit Bansal. Han Guo, Ramakanth Pasunuru, and Mohit Bansal. Ori Shapira, David Gabay, Yang Gao, Hadar Ronen, Ramakanth Pasunuru, Mohit Bansal, Yael Amsterdamer, and Ido Dagan. Licheng Yu, Xinlei Chen, Georgia Gkioxari, Mohit Bansal, Tamara L. Berg, and Dhruv Batra. Yixin Nie, Haonan Chen, and Mohit Bansal. Yixin Nie*, Yicheng Wang*, and Mohit Bansal. Yichen Jiang and Mohit Bansal. Sweta Karlekar and Mohit Bansal. Lisa Bauer*, Yicheng Wang*, and Mohit Bansal. Ramakanth Pasunuru and Mohit Bansal. Jie Lei, Licheng Yu, Mohit Bansal, and Tamara Berg. Spencer Whitehead, Heng Ji, Mohit Bansal, Shih-Fu Chang, and Clare Voss. Tong Niu and Mohit Bansal. In Fact Extraction and Verification (FEVER) Workshop (non-archival), EMNLP 2018, Brussels, Belgium. Yen-Chun Chen and Mohit Bansal. Han Guo*, Ramakanth Pasunuru*, and Mohit Bansal. Hao Tan and Mohit Bansal. Sweta Karlekar, Tong Niu, and Mohit Bansal. Yicheng Wang and Mohit Bansal. Arjun Chandrasekaran, Devi Parikh, and Mohit Bansal. Trang Tran*, Shubham Toshniwal*, Mohit Bansal, Kevin Gimpel, Karen Livescu, and Mari Ostendorf. Licheng Yu, Zhe Lin, Xiaohui Shen, Jimei Yang, Xin Lu, Mohit Bansal, Tamara Berg. Ke Wang, Mohit Bansal, and Jan-Michael Frahm. Licheng Yu, Mohit Bansal, and Tamara Berg. Cheng-Yang Fu, Joon Lee, Mohit Bansal, and Alexander Berg. Yixin Nie and Mohit Bansal. Ramakanth Pasunuru, Han Guo, and Mohit Bansal. Licheng Yu, Hao Tan, Mohit Bansal, and Tamara L. Berg. Andrea F. Daniele, Mohit Bansal, and Matthew R. Walter. Arnab Ghosh, Viveka Kulharia, Amitabha Mukerjee, Vinay Namboodiri, and Mohit Bansal. Hongyuan Mei, Mohit Bansal, and Matthew Walter. Malika Aubakirova and Mohit Bansal. Harsh Agrawal, Arjun Chandrasekaran, Dhruv Batra, Devi Parikh, and Mohit Bansal. Arijit Ray, Gordon Christie, Mohit Bansal, Dhruv Batra, and Devi Parikh. Takeshi Onishi, Hai Wang, Mohit Bansal, Kevin Gimpel, and David McAllester. John Wieting, Mohit Bansal, Kevin Gimpel, and Karen Livescu. Makoto Miwa and Mohit Bansal. Pranava Swaroop Madhyastha, Mohit Bansal, Kevin Gimpel, and Karen Livescu. Hongyuan Mei, Mohit Bansal, and Matthew R. Walter. Oren Melamud, David McClosky, Siddharth Patwardhan, and Mohit Bansal. Arjun Chandrasekaran, Ashwin Kalyan, Stanislaw Antol, Mohit Bansal, Dhruv Batra, C. Lawrence Zitnick, and Devi Parikh. Hai Wang, Mohit Bansal, Kevin Gimpel, and David McAllester. John Wieting, Mohit Bansal, Kevin Gimpel, Karen Livescu, and Dan Roth. Ang Lu, Weiran Wang, Mohit Bansal, Kevin Gimpel, and Karen Livescu. Jing Wang, Mohit Bansal, Kevin Gimpel, Brian Ziebart, and Clement Yu. Hang Chu, Hongyuan Mei, Mohit Bansal, and Matthew R. Walter. Kevin Gimpel and Mohit Bansal. Mohit Bansal, Kevin Gimpel, and Karen Livescu. Mohit Bansal, David Burkett, Gerard de Melo, and Dan Klein. Chen Kong, Dahua Lin, Mohit Bansal, Raquel Urtasun, and Sanja Fidler. Gerard de Melo and Mohit Bansal. Mohit Bansal and Dan Klein. Mohit Bansal, John DeNero, and Dekang Lin. Mohit Bansal, Chris Quirk, and Robert Moore. Jonathan K. Kummerfeld, Mohit Bansal, David Burkett, and Dan Klein. John DeNero, Mohit Bansal, Adam Pauls, and Dan Klein. Mohit Bansal, Claire Cardie, and Lillian Lee. Sumit Ganguly, Mohit Bansal, and Shruti Dube. Proceedings of FAW 2008. Changsha, China. Anand A Raj, Tanuja Sarkar, Satish C Pammi, Santhosh Yuvaraj, Mohit Bansal, Kishore Prahallad, and Alan W Black. Jae Sung Park, Biao Jia, Mohit Bansal, Dinesh Manocha. Zhengyang Wu, Mohit Bansal, and Matthew R. Walter. Dominick Ng, Mohit Bansal, and James R. Curran. Mohit Bansal, Ph.D. Thesis. EECS, UC Berkeley. Mohit Bansal, M.S. Thesis. EECS, UC Berkeley. John DeNero and Mohit Bansal. Instructor, Advanced Topics in NLP: Recent Progress in Different Learning Paradigms, UNC Chapel Hill, Spring 2019. Instructor, Advanced Topics in NLP: Conversational Models, UNC Chapel Hill, Spring 2018. Instructor, Graduate Natural Language Processing, UNC Chapel Hill, Fall 2017. Instructor, Advanced Topics in NLP: Language Grounding for Robotics, UNC Chapel Hill, Spring 2017. Instructor, Seminar on Natural Language Processing, UNC Chapel Hill, Fall 2016. Guest Lecturer, Computational Linguistics (Instructor: John Goldsmith), University of Chicago, Spring 2015. Guest Lecturer, Robotics and Artificial Intelligence (Instructor: Matthew Walter), TTI-Chicago, University of Chicago, Spring 2015. Guest Lecturer, Visual Recognition with Text (Instructor: Sanja Fidler), University of Toronto, Winter 2015 — short course on 'Topics, Trends, and Resources in NLP' [slides]. Grad Student Instructor, Introduction to Artificial Intelligence (Instructor: Dan Klein), UC Berkeley, Fall 2011. Received an Outstanding Graduate Student Instructor Award by UC Berkeley for excellence in teaching. Grad Student Instructor, Advanced Topics in Artificial Intelligence (Instructors: Pieter Abbeel, Dan Klein, Jitendra Malik), UC Berkeley, Spring 2009. Sole TA for new course with 30 advanced students. Student openings: I am looking for highly motivated PhD students. If you are interested in the broad areas of multimodal NLP (with vision and speech, for robotics), language generation and dialogue/Q&A, and structured+interpretable deep learning, please see my prospective student page and contact me at mbansal-AT-cs-DOT-unc-DOT-edu for further details. Software and Datasets: Available as links with corresponding paper in Publications/Code/Data.